Discussion in 'Gachaverse' started by Luni, Jun 17, 2018. Welp, here is my OC Tomoe. Eh. So much for a odachi or katana but it works. Atleast got the atleast somewhat similar polearm close to a naginata. Tried my best to recreate Okita Souji Alter from the fate series. While being always a quiet and laid-back person, Vibe likes peaceful places like camping in wilderness. Ever since his childhood he learned a lot about firearms, tracking and being cautious from his father, a professional hunter, who raised him all by himself. With loss of his father and being lazy to do any honest work, Vibe stepped on the wrong side of the law by accepting fast earning and good paying shady jobs. With lack of people he could trust, Vibe is constantly on the move but he never forgets to repay any help or favors from people and he do so generously. HERES POLLYANNA SHE IS CRAZY!! My OC’s dark form, awakened by a dark betrayal. She has never said anything about it to anyone... or opened up about her dark past. Can anyone unlock her secrets? 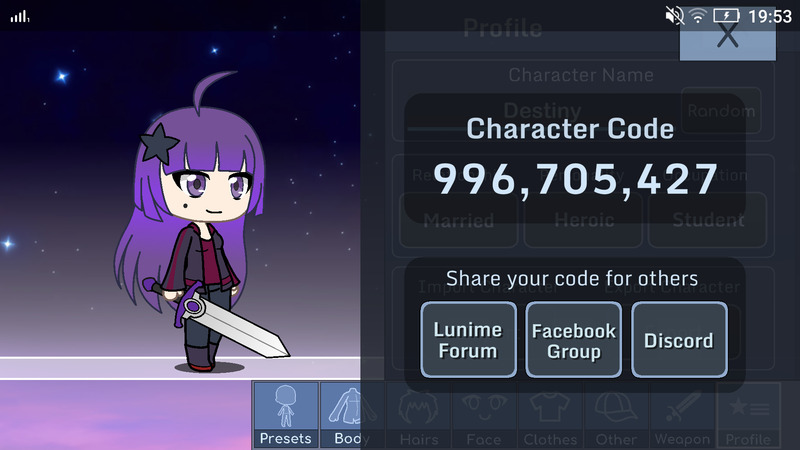 Post your exported Gachaverse characters here that you would like to share! This is Quiche (pronounced "Keesh"), I hope you enjoy her! Kamilla20 and Sunburst like this.